WWE solidifies its Big Four with an end-of-summer bash. If there's anything that opportunistic Vince McMahon enjoys doing (aside from the given, "make bucket-loads of cash"), it's fill the Gregorian calendar with WWE events that will make those bucket-loads of cash. With Survivor Series debuting in November 1987, followed by a cable broadcast of The Royal Rumble in January 1988, McMahon was still left with a gap between early-spring WrestleMania, and Thanksgiving night Survivor Series. That's where SummerSlam came in. With a marketable, larger-than-life roster that featured mega-stars like Hulk Hogan, Andre the Giant, Ted Dibiase, and reigning champion Macho Man Randy Savage, it was worth seeing if fans would buy into a superstar showcase as summer wound down. Since 1988, SummerSlam has been a cornerstone of WWE's calendar, something of a B+/A- WrestleMania each August, where big feuds could be settled, and notable title changes would have a spotlight to take place under. The original SummerSlam, emanating from New York's hallowed Madison Square Garden on Monday night, August 29, 1988, was a mixed bag. There wasn't much in the way of high-quality in-ring action, and Superstar Billy Graham's overly-giddy commentary sure didn't help, but so much of the card was quintessential eighties WWE, with a fun main event, and a historic title change. 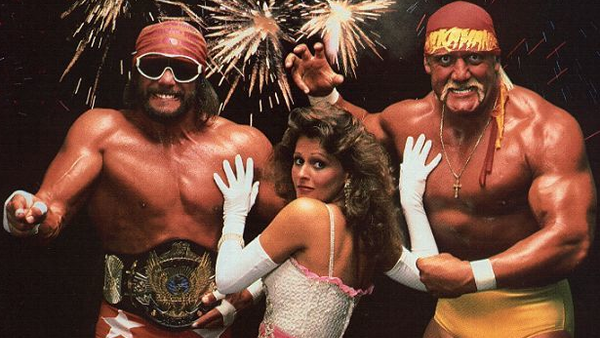 Here are ten facts about SummerSlam 1988 you may not have known. Justin has been a wrestling fan since 1989, and has been writing about it since 2009. Since 2014, Justin has been a features writer and interviewer for Fighting Spirit Magazine. Justin also writes for History of Wrestling, and is a contributing author to James Dixon's Titan series.